Supreme Home Care announce first Care Practitioner award. Supreme Home Care is delighted to announce that they have made their first Care Practitioner award. Jackie has been part of the pilot development of this innovative and unique award within Supreme Home Care. 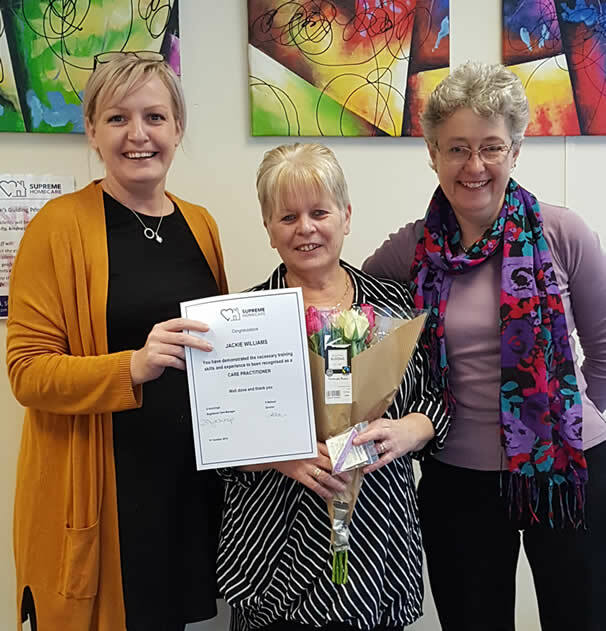 She received her award at a recent staff meeting and will be the Founder member of the new Care Practitioners Group within the Company.